Answer.A huge blanket of air by which our earth is surrounded is called atmosphere. Out of these atmospheric layers, Troposphere is the most important layer of the atmosphere, which directly support life on this planet. Q(ii).Which two gases make the bulk of atmosphere? Q(iii).Which gas creates green house effect in atmosphere? Answer. Wheather is hour-to-hour,day to day conditions of the atmosphere. Q(v). Name three types of rainfall? Answer. (i) The convectional rainfall. (ii)The orographic rainfall. and (iii)The cyclonic rainfall. Q(vi). What is air pressure? Answer. Air pressure is defined as the pressure exerted by the weight of air on the earth's surface. Q(i) Which of the following gases protects us from harmful sun rays? Q(ii) The most importent layer of the atmosphere is. Q(iii) Which of the following layers of atmosphere free from clouds? 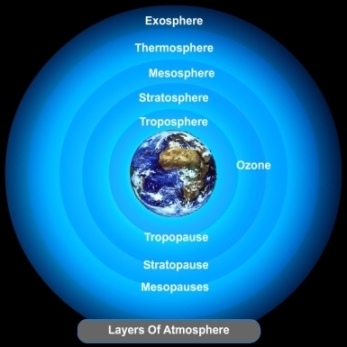 Q(iv).As we go up the layers of the atmosphere, the pressure. (a) Increases. (b) Decreases. (c) Remain same. (a) cloud. (b) Rain. (c) Snow. 1 Trades winds. (a) Seasonal. 2 Loo. (b) Horizental movement of air. 3 Mansoon. (c) Permanent wind. 1 Trades winds. (c) Permanent wind. 2 Loo. (d) Local wind . 4 Wind. (b) Horizental movement of air. Q(i) Wet clothes take longer time to dry on a hhmid day? Answer. Because sun rays fall vertical on the equator while slanting on the poles. Q(ii). Amount of insolation decreases from equator towards poles? Answer. Because on a humid day,there is more water in ait than a sunny day.So, air can soak less weater from wet clothes i.e., rate of evaporation decreases.